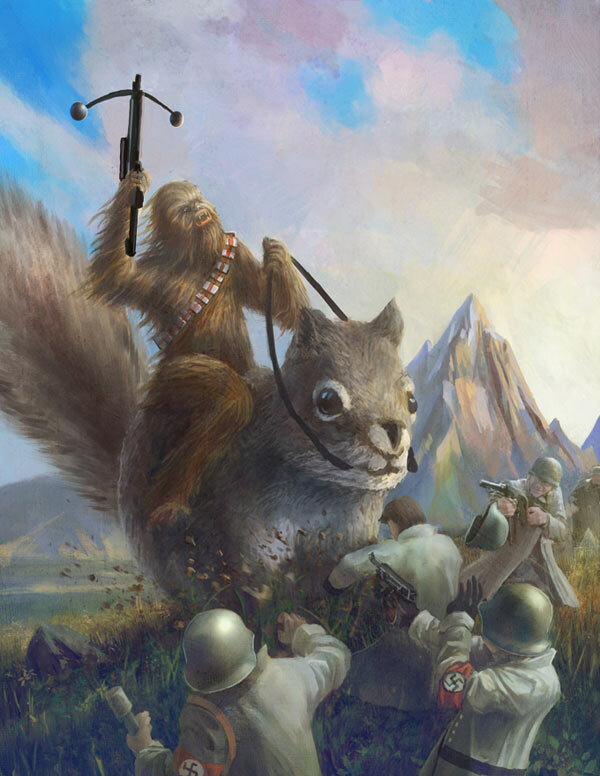 Chewbacca fights Nazis while riding mutant squirrel – Boing Boing. Perhaps originally from: chewy comission fur on fur. « The rain in Spain stays mainly in the brains!